Silent Sunday: I wish you joy. From Bailey’s home to yours, we wish you joy this holiday season. This entry was posted in Silent Sunday. 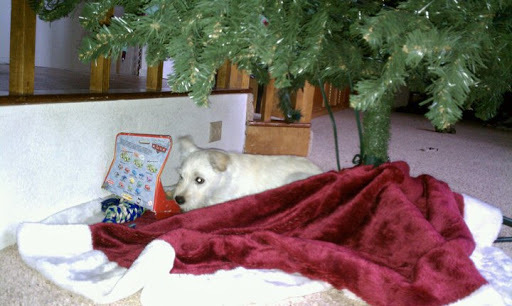 Nothing say Merry Christmas like a puppy under the tree! Those are my thoughts too! 🙂 Merry Christmas!